I’ve been known to expound on the many virtues of the US Postal Service, but I’m beginning to wonder about the amount of other people’s mail that shows up in the Weekndr family mailbox. Before I get into it, let’s discuss those virtues. 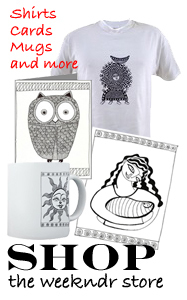 How about the Forever stamp, which retains the value of a current stamp no matter what you paid for it. Or the flat-rate box. Stuff anything inside and it costs the same rate to send. And don’t get me started on that business model, a shining example of public-run, private corporation that ensures open access to a vital public service, without the fear of corruption by corporate greed and interests. Its compassionate capitalism. These virtues aside, there is one problem that persists. 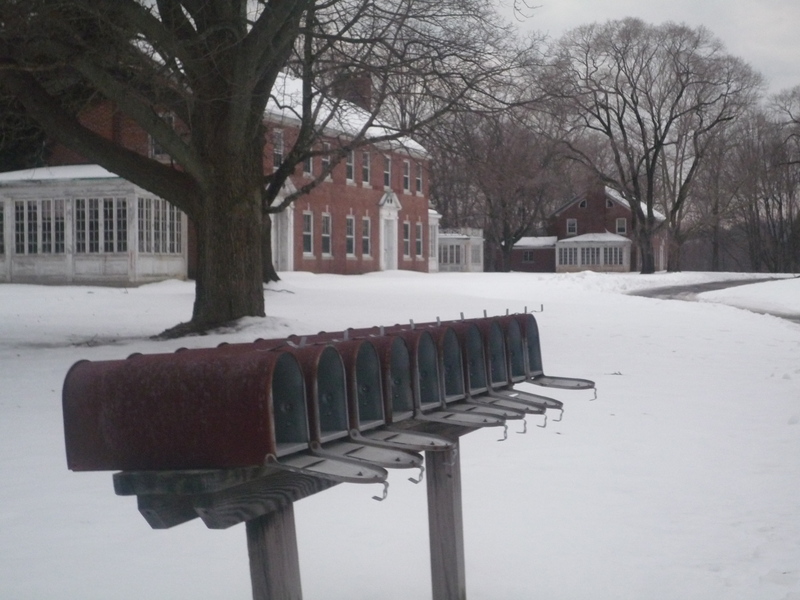 The carelessness of some postal carriers, ours included. Yesterday we received an invitation to the CHS “64” REUNION, from one Rose Marie, who apparently is organizing the 35-year celebration for the former resident of our address. I’m sure he won’t want to miss that event, even though he will. There’s also a seemingly important letter from the Town for one of our neighbors who we have never actually met. Looks likes she might owe some back taxes, but will she ever know? “Don’t be nosey,” says Mrs. Weekndr, as I hold the letter up to the window light for a better look. Of course, I shudder to think about what important letters of ours might have ended up in our neighbors’ mailboxes, forever lost. 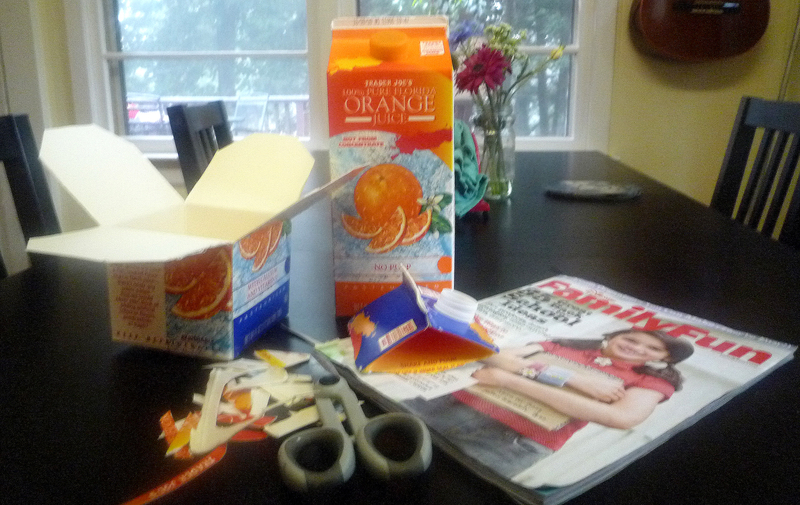 Ripped from the headlines: Recycle an OJ or milk container into a trendy to-go box. Project courtesy Disney marketing mailer. This one is kindly attributed to the marketing geniuses over at Disney who sent Mrs. Weekndr a special issue magalog (that’s my coined term for half product catalog half editorial magazine in which the primary intention is to sell then inform) called Disney Family Fun. 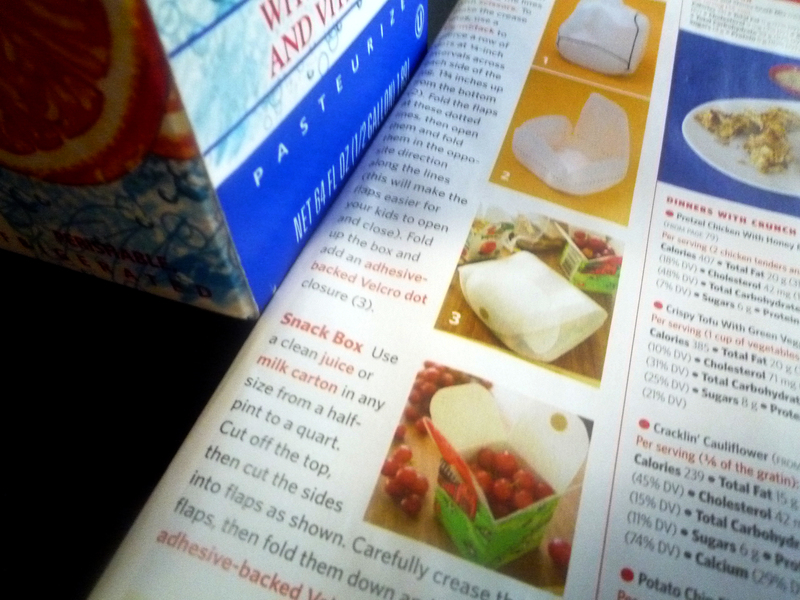 On the second to last page, tucked into a left-hand column is this brilliant tip for recycling milk and orange juice containers into trendy little to-go boxes. We immediately put to use our latest OJ discard to make the suggested container in the style of a Chinese food take out-box. A round mirror made of African mahogany with a carved diamond bead around the rim. A redwood burl platter with bark inclusion. A spalted sugar maple bowl with an abandoned maple syrup tap hole. A collection of small forms, and two small boxes, one in the shape of a miniature barrel. See more round wood things on FineWoodworking.com.